← Saving on 376 School Lunches with Flipp! 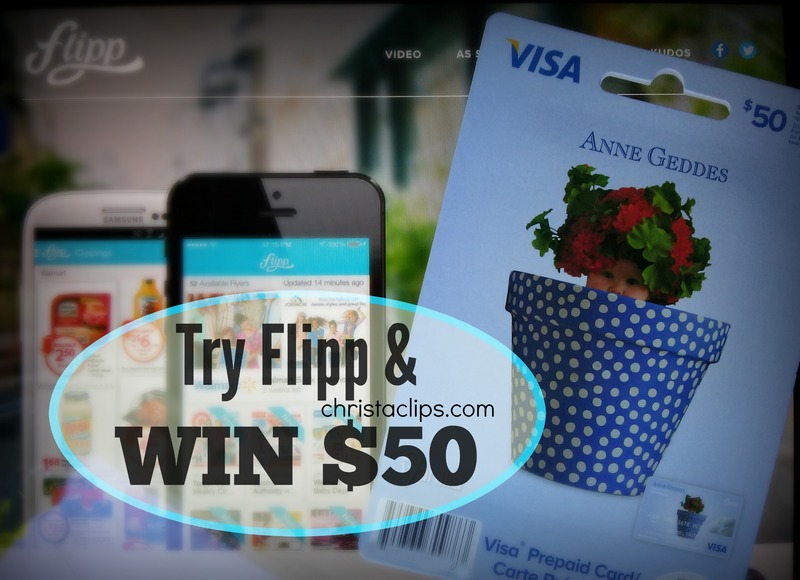 Posted on September 19, 2014, in Christa Clips, Couponing, Giveaways, Savvy Shopping and tagged Christa Clips, Flipp, How to Pricematch with a smart phone, Money Saving Apps, Saving on Groceries. Bookmark the permalink. 57 Comments. I love Flipp! I’ve been using it for about a month. This week I’ve clipped Finish Dishwasher detergent from Giant Tiger on for 5.97. It’s regularly priced at $7.27. Isn’t it great?! Did you get your $.03 discount at Giant Tiger for using a re-usable shopping bag, Stacie?! Love that store! I haven’t clipped any this week, but last week I clipped ivory soap at Frescho, used a coupon and bought 2 packages for $1 each. Nice! Adding on extra layers of savings like coupons & ebates can save Flipp users some serious cash! Have you added Freshco to your fav flyers list, Amy?! I tried a few time to find fresco and can’t get it. Do you have a secret? Clipped the Cavendish fries at GT!! I clipped the Nerf Rebelle Heartbreaker Bow this week and I’ll save 12.98 on it. I love flipp! It’s amazing for price matching! Soo easy! agreed! thanks for popping by! ooooh, like a cash back reward, Lisa? Adding on extra layers of savings …. luv it! I like the Flipp App a lot! I saved on fruit. I saw that grapes were on sale at my store for $2.99 lb, but I found a better deal for $1.49 per pound! I also found at my store that apples were $2.49 for Galas, but with the Flipp app, I found them for .99 cents per pound. I saved tons of money on fruit! Fruit is SO easy to find on sale, somewhere! I get distracted when all of fancy “Apple” products show up in the search, though — mamma needs a new computer!!! I clipped Classico Alfredo sauce for a $1 saving. a buck is a buck is a buck! Thanks for popping by! I clipped Kraft shredded cheese from Food Basics for 4.99 🙂 matching it with a 2$ coupon makes it really cheap! Does that add up to $5 in total savings/ Well done! I love flipp! I saved $16.58 including over $5.00 on my cat litter price matching with Walmart this week. Its like finding money in a pocket or purse you forgot about. Do that every week and you’ll have found $862 in your pocket, Anne! Love it! I’d say that’s EXTREME couponing, Canadian style, Michelle – way to go! I love Flipp! Use it all the time. Currently I have clipped Grapes, Pizza, Green Peppers and Red Peppers at Freshco; Breyers ice cream at No Frills; Ribs at Sobey’s, Quaker instant oatmeal at SuperC; Kellogg’s cereal, Lancia pasta and Cloverleaf tuna at Walmart. 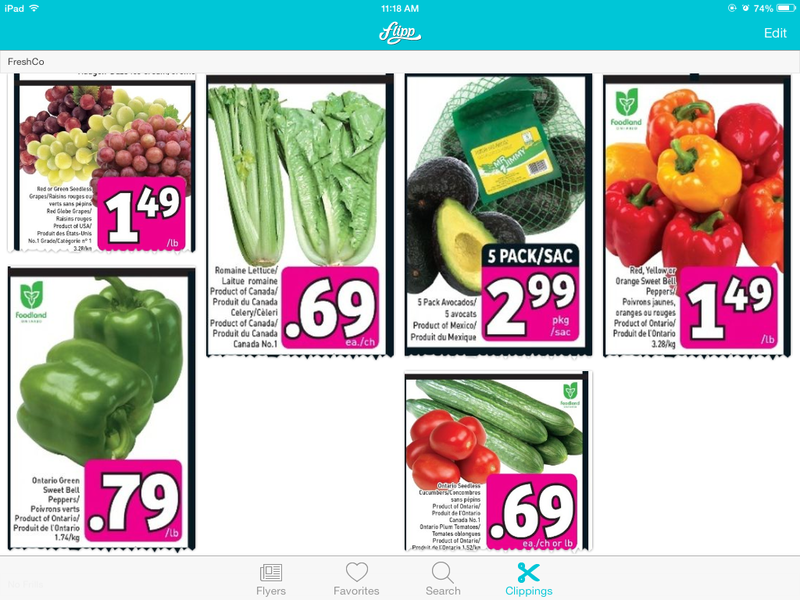 Price matching and coupons save me about $500 a month and Flipp makes it so much easier. you save $500 a MONTH on price-matching, Stacey?! That’s awesome! I hope you’re teaching your friends & family how you do it! Max Scoop Kitty Litter – saved over $5. Not doing a lot of clipping right now because we are busy moving back from our summer home and having to use up a lot of food we have on hand. But will definitely get really into it once we get home, have to try and save as much as possible leading up to the holidays! Good luck with the move,Judy – how fun to live off the pantry for a while, knowing that you saved on each item when you bought it! I clipped a number of Walmart deals for this week’s Anniversary sales – saving over $50! There are some GREAT sale prices at Walmart this week, I agree! I forget to clip Walmart items since I’m not price-matching them,and then forget to buy them . I must remember to fix that! I clipped save 1.00 on Purex and Walmart had it on sale. Those dollars add up. Ive actually been using this app for weeks now. Genius invention! Yes! a kindred spirit who agrees “it all adds up”! I have clipped the buy one get one 50% off on loreal hair care to my shopping list this week from Walgreens and I will save half off the price on one. I clipped bacon that is on sale at Dominion! 🙂 Thanks! mmmm, bacon! ha! thanks for reading my blog, Amy! I clipped Purex laundry soap at Walmart! drop a line if you need any help, Robin! Love connecting with couponers in da’ hood! flipp has replaced paper flyers for me at the checkout. This week I had clipped sugar from GT, toothpaste from No Frills and ceral from Maxi to name a few. What I like most about Flipp is the search function! Love it! and now that No Frills is awarding PC Points, I’ll be going there more often. They price-match! great! that’s often $3 or $4 in savings at a time! Any plans for a bb version? I haven’t used it yet – but am going to try it out now! I have clipped $1 Barilla pasta at Freshco! I clipped Dempsters bread from Food Basics! Adding best prices for fruit so I can price match, yay!